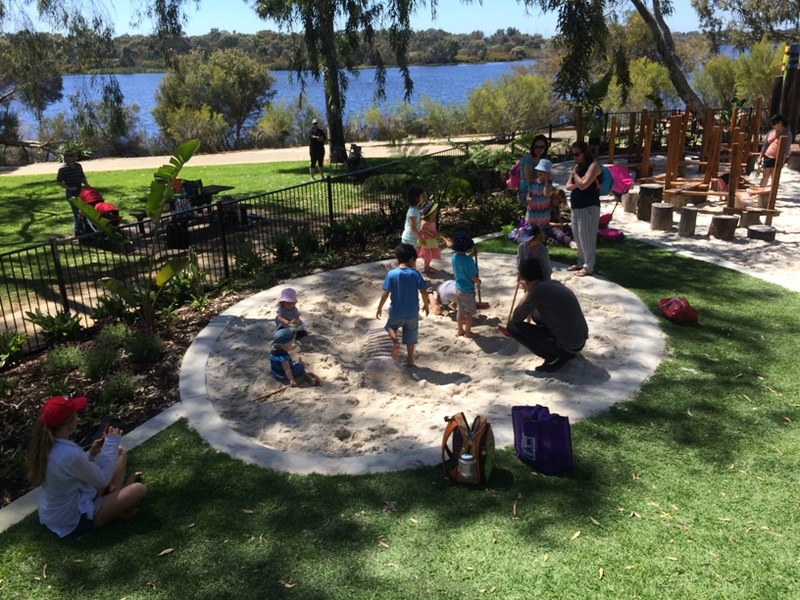 Bibra Lake Regional Playground gives the Bibra Lake Reserve a $3.4M upgrade and it is truly amazing with adventure play and all inclusive play features that everyone of all abilities and ages can enjoy. 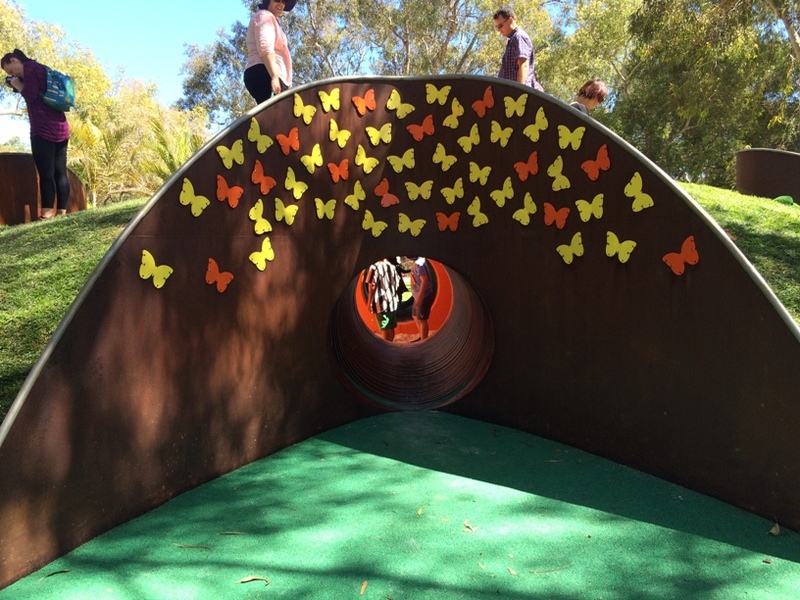 The playground design reflects Bibra Lake's rich and significant Aboriginal Heritage and is also inspired by local wildlife and fauna. 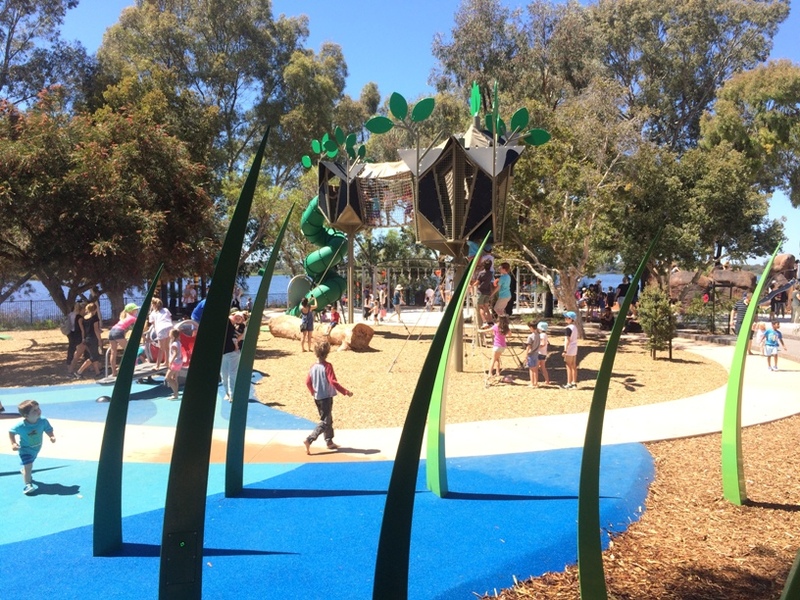 This playground has so many play features big and small it was hard to know where to start. The kids were firstly drawn to the tall sky walk with tall twisty slide. 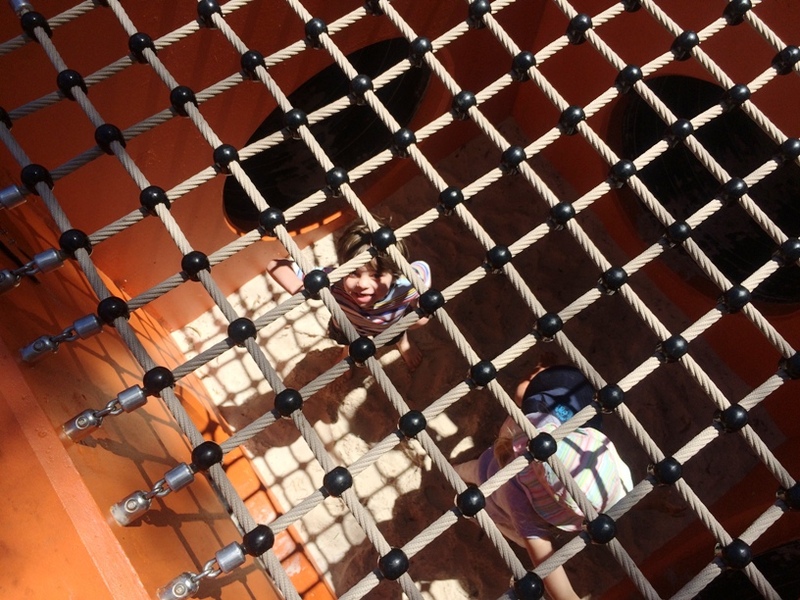 The skywalk is accessed via two different rope climbs up to a cubby house, then a rope bridge walk and back down the twisty slide. The assault course underneath the skywalk was also popular not just with the bigger kids but with the adults. Some of the features of this course are really challenging so it's a great spot for the whole family to challenge their strength and coordination. 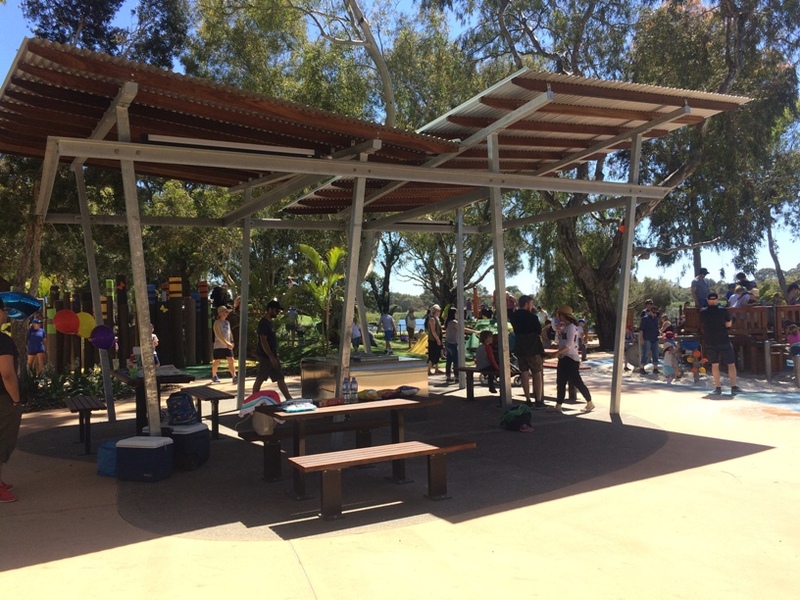 Later in 2017, the park received some upgrades including more shade sails and rope cladding around the giant fish traps. 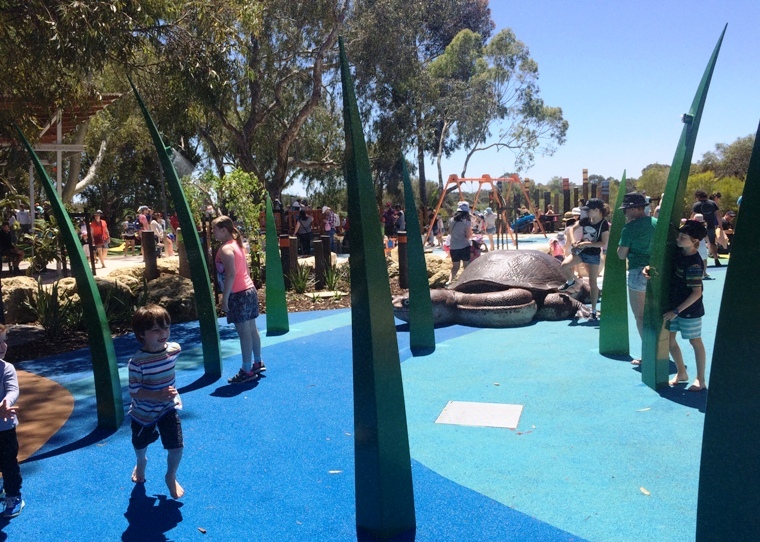 The giant mother turtle also made Bibra Lake Playground her home alongside her baby turtles as part of the upgrades. 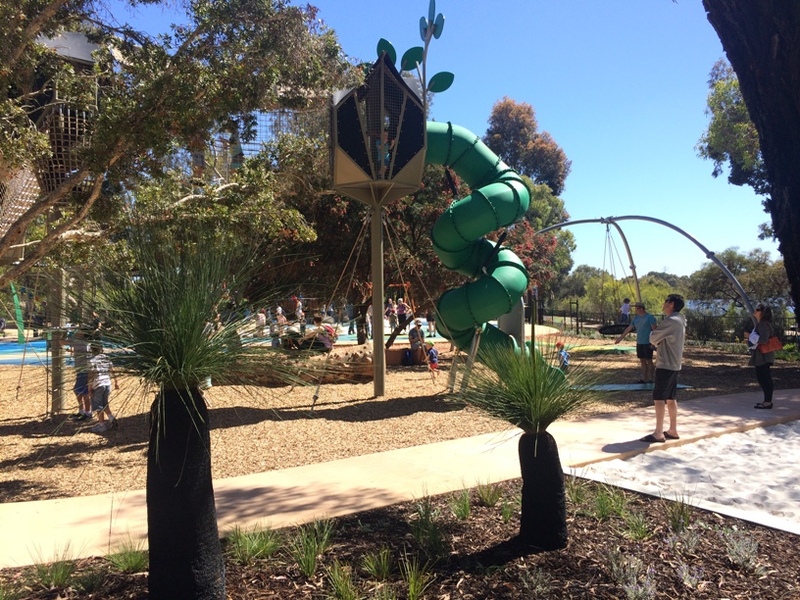 Packing a spare change of clothes for your visit to Bibra Lake Regional Playground is highly recommended with two different water play features. 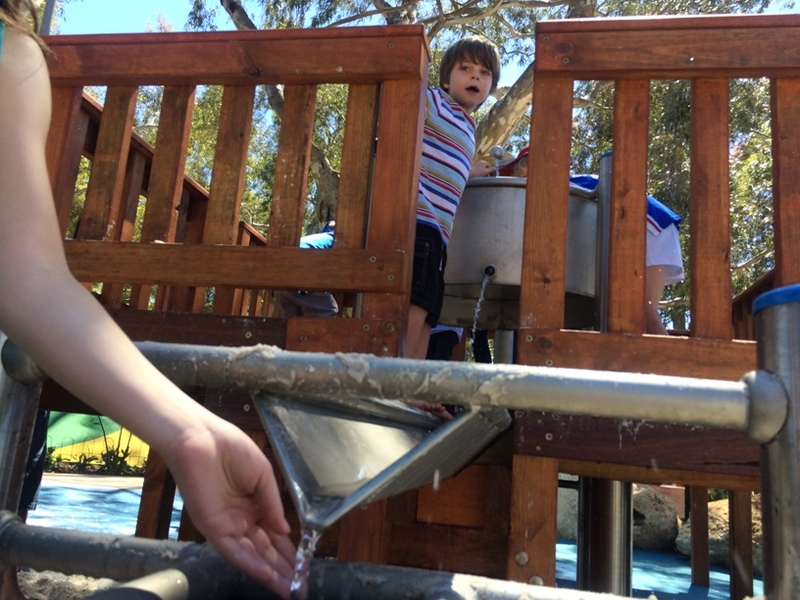 This elevated fort with water pump and tank at the top was very popular, particularly with the toddlers and preschoolers. Working together they need to pump the water to fill the tank at the top, then open the dams to let the water flow in two different directions to spin the wheel and fill the lower tank. The second water play feature is a series of "grass reeds" with sprays at the top. You need to press the buttons on each for the sprays to come on. Running through the sprays is a great way to keep cool in the warmer months in between climbing the skywalk, crawling through the tunnels and exploring all the other play features of this park. What's an adventure playgrond without a flying fox, right! Starting up under a big yellow dome there are two cables one with an all abilities seat. 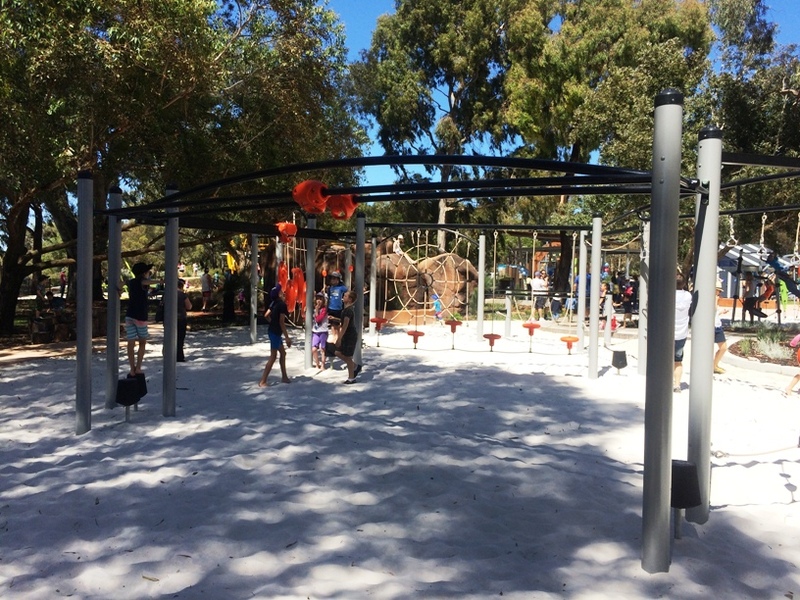 Another popular feature of many of Perth's new playgrounds - trampolines. 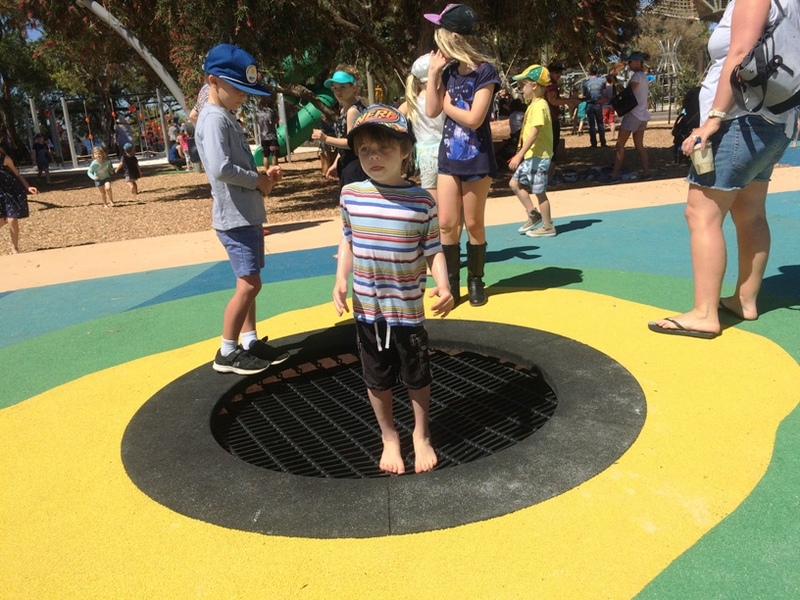 There are two in ground trampolines at Bibra Lake Regional Playground. 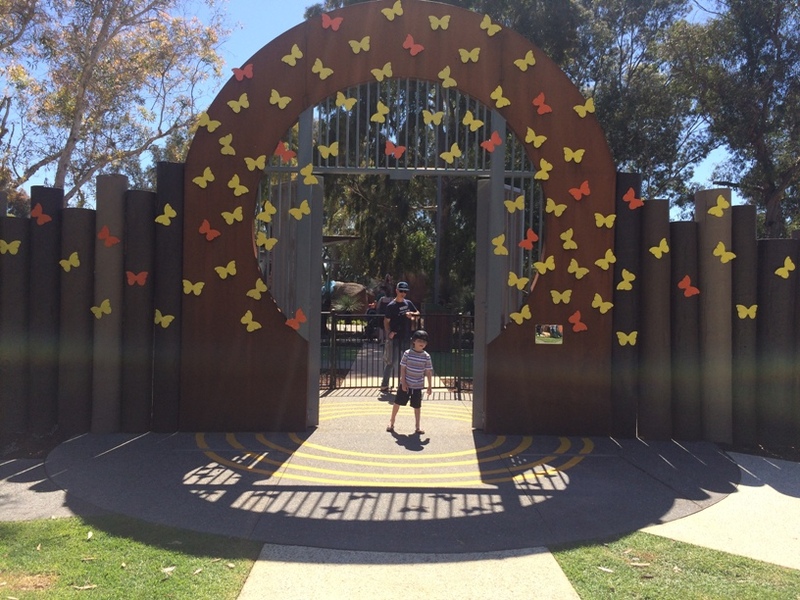 Little ones will love the native fauna characters of this park. Alongside the water sprays is a large oblong turtle and some hatching oblong turtle eggs. 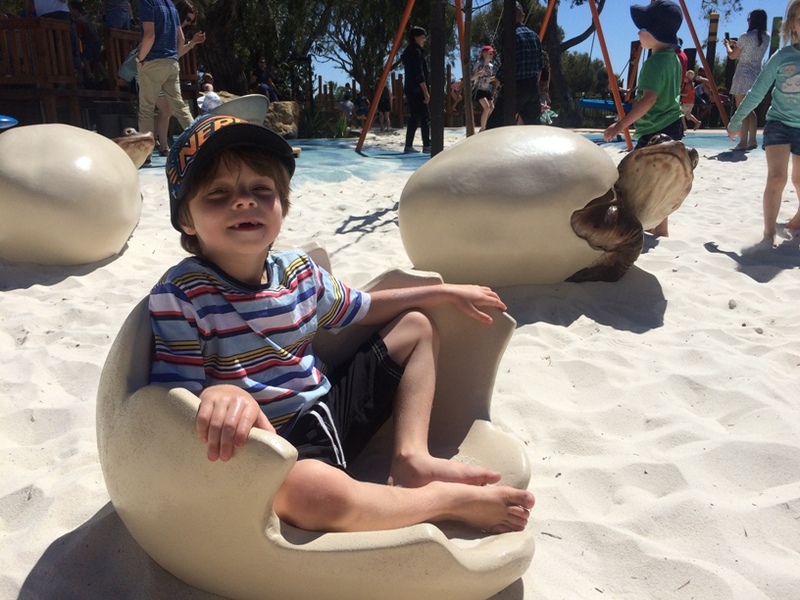 Kids can sit inside the cracked turtle eggs and enjoy some down time. Another favourite was the hill with tunnels running underneath, lots of fun for playing tag or hide and seek. On top of the hill is a net so you can see the kids in the centre where all the tunnels join. Near the tunnel are lots of toddler play features and these are located under the shadiest part of the park. 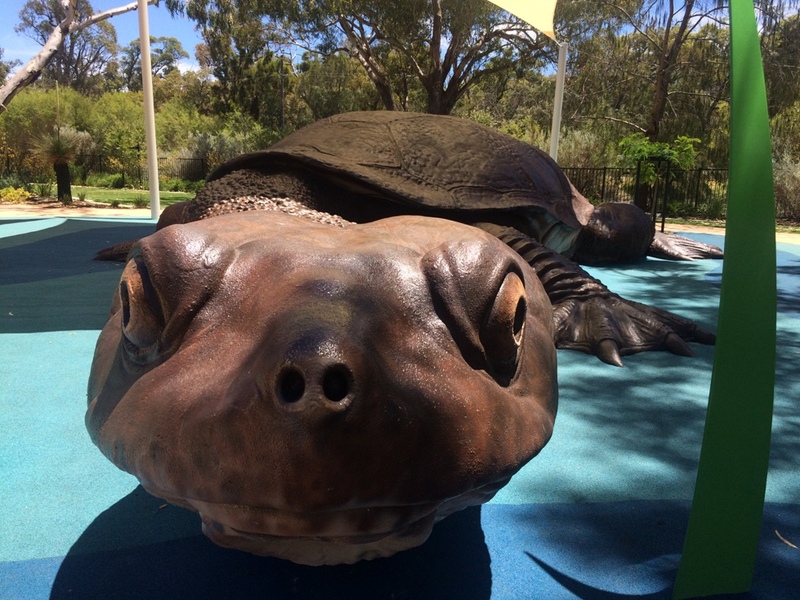 You will find a small slide, Diprotodon dinosaur sand pit dig, balance logs and spinning disk. Make sure you don't miss the talking rocks in Yarning Circle. 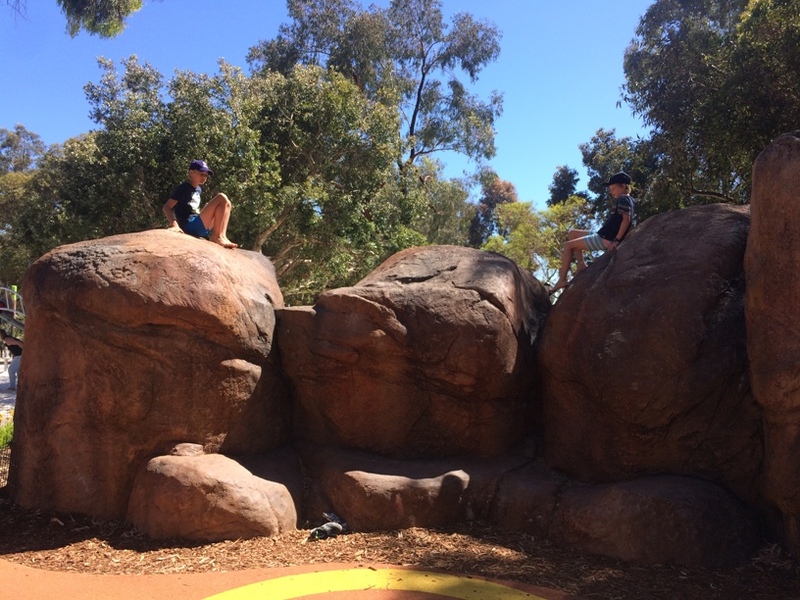 As kids climb over the rocks they teach and tell stories in Nyungar about the features of the area that are important to the Nyungar people. There are so many other play features in this playground, but we will leave the rest for you to discover. 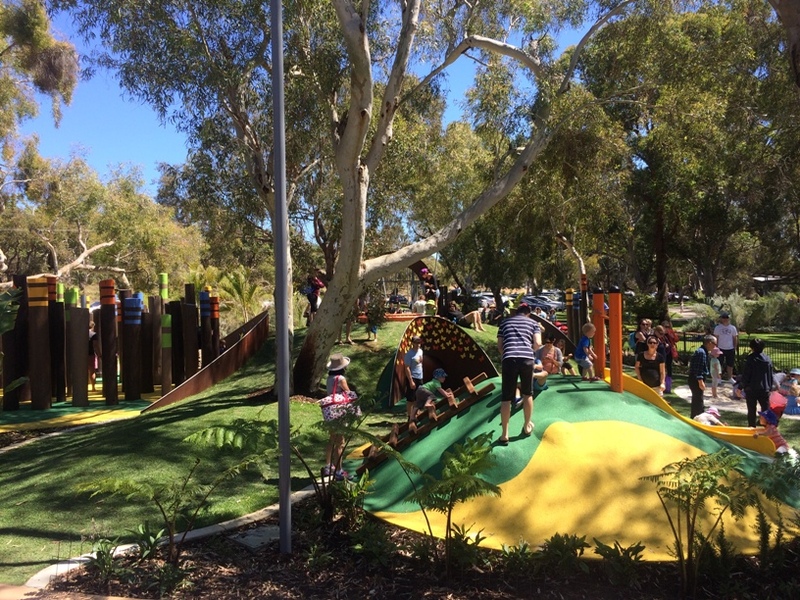 The playground is fully fenced with two main entrances and is open from 8.30am - 9pm, 7 days per week. The park is cleaned for 2 hours per day. When we visited in November 2017 to update our review we were very impressed with how clean and well maintained the park was. 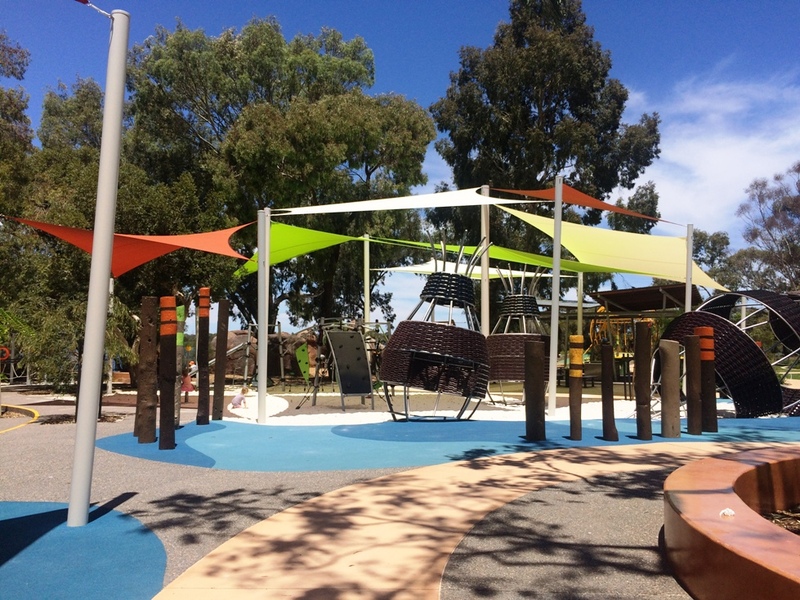 The playground features a full range of facilties including two main shelters with wheelchair accessible BBQs, toilets (male, female and unisex) with change facilities. 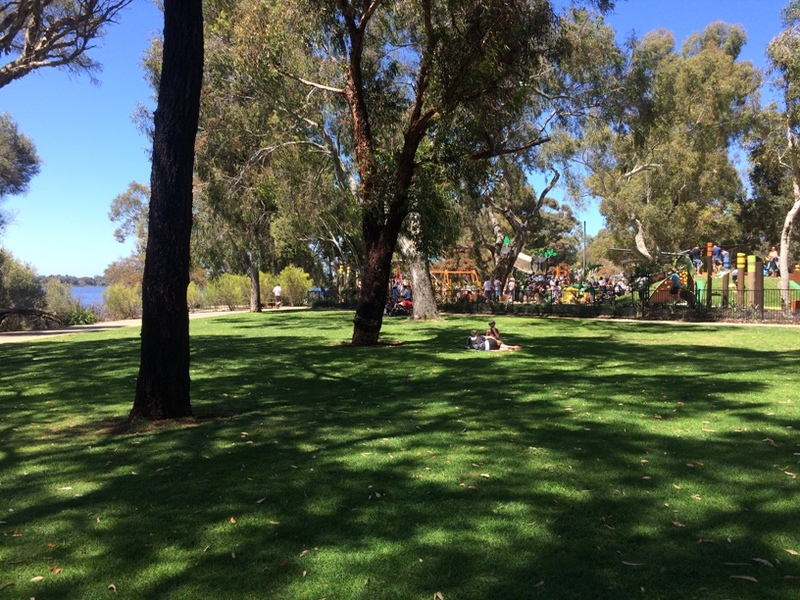 There are a few small grassed shady spots within the fenced playground area to enjoy a picnic, but if it is busy you may have to head outside the playground area to find a spot to lay out your picnic rug. 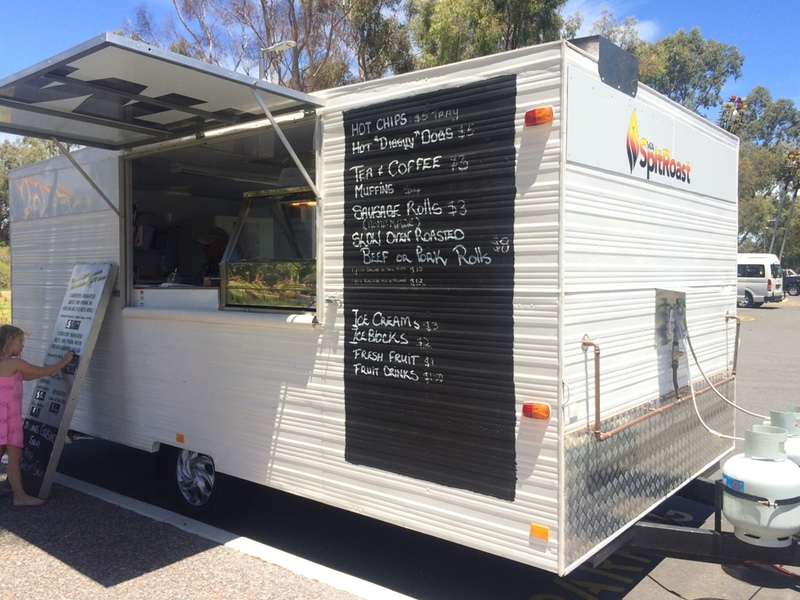 If you haven't brought a picnic along, never fear WA Spit Roast is at the park 8am - 3pm Wed - Sun and every day during the school holidays. They may be doing some evenings over summer so keep an eye on the WA Spit Roast facebook for updates. 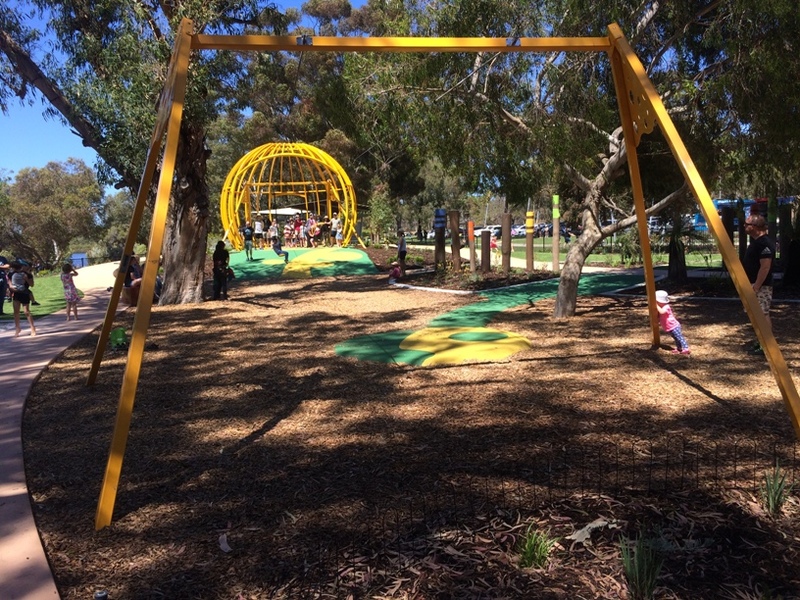 Bibra Lake Regional Playground is a must for your playground list. Even if it's not near you it's worth the drive and there are so many play features for the whole family you can easily spend the day away here.